Near the beginning of my recent appearance on Joe Posnanski’s PosCast, Joe suggested that the two of us were “the two biggest Hall of Fame nerds in America.” Agreeing, I noted that the only other writer “who makes the platform” is Graham Womack, who covers the Hall beat for The Sporting News — where he’s interviewed some of the players I’ve covered such as Bobby Grich and Lou Whitaker— and the National Pastime Museum. Overall, Jaffe has produced a superb, fun Hall of Fame book, worth the wait for the past few years since Jaffe announced his book deal on Twitter. This is the book Hall of Fame enthusiasts might have had in their heads for years. “The Politics of Glory” has long needed an update. Jaffe’s done it. Womack did also note a few misspelled names within the book, which I’m working to correct for the next printing. In Chapter 6 of The Cooperstown Casebook, “Blyleven, Morris and the War on WAR,” I wrote about the industry’s resistance to admitting advanced statistics into debates over the annual BBWAA awards and Hall of Fame voting. Within there, I noted that it brought out the worst behavior in some of the most decorated writers. To [Spink Award winner Murray Chass], the critics of Morris’s candidacy were “stat zealots [who] don’t have a formula for intestinal fortitude or determination,” while the election of Blyleven was the result of using “new-age statistics to persuade ignorant voters to vote for a candidate.” Alas, nobody ever calculated how many hundreds of converts to Blyleven’s candidacy took umbrage at that statement. Chass was hardly the only high-profile writer reduced to name-calling over the voting. For Bill Madden, critics of Morris’s candidacy were “the vigilante sabermetric brigade”; for Dan Shaughnessy, they were “sun-starved stat geeks.” Even from award-winning writers, such responses—accompanied by no shortage of anti-sabermetric swipes in other contexts—evinced insecurity and fear of irrelevance in front of a younger generation of baseball fans. 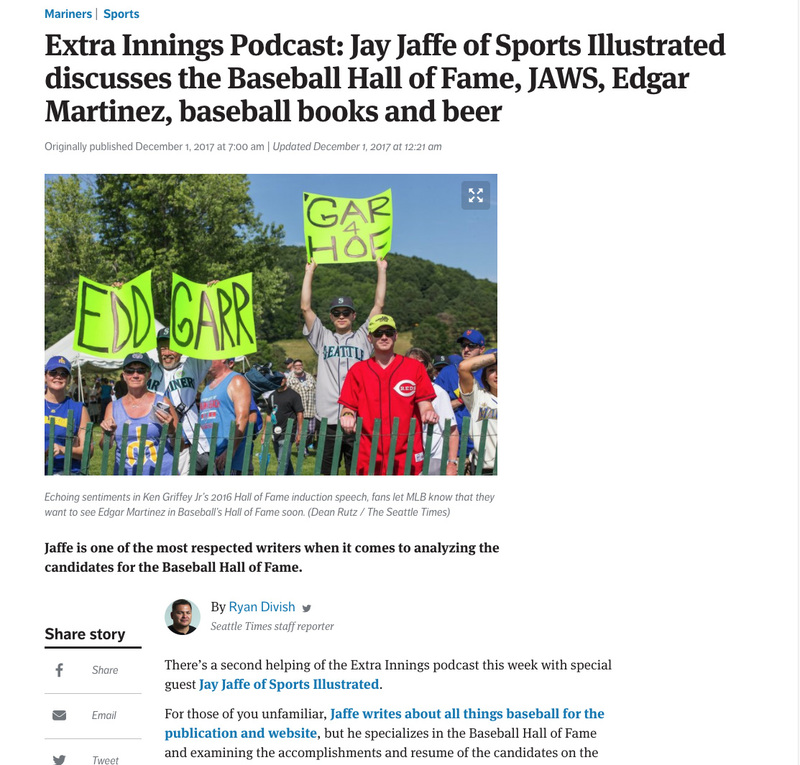 Make room for Jay Jaffe in the Bill James/Keith Law/Rob Neyer Mount Rushmore of “We Know More Than You” analytics geeks intent on sucking all the joy out of baseball. Jaffe’s intriguing new book is “The Cooperstown Casebook: Who’s in the Baseball Hall of Fame, Who Should Be In, and Who Should Pack Their Plaques.’’ According to Jaffe’s skull-imploding rating system, Sandy Koufax is the 87th-best starting pitcher of all time. Nuf Ced. Mount Rushmore? In that company? I’ll take it. Obviously, Shaughnessy hasn’t taken the time to understand why Koufax would rank only 87th in JAWS. Neither his career nor his peak were very long; as somebody pointed out, he’s 206th in pitcher wins (with 165) and 300th in innings (2,324.1), so he’s already punching above his weight with that ranking. What’s more, he put up his eye-opening numbers while pitching in a low-scoring run environment, so what he did had less impact than, say, Pedro Martinez putting up similar numbers when scoring was much higher. Anyway, Shaughnessy has made a career out of taking shots like that (elsewhere in the same column, he credits former Red Sox first baseman Adrian Gonzalez’s absence from the Dodgers lineup with keying their current hot streak), and he knows as well as anyone that a writer can define his persona as much by what s/he opposes (and what opposes him/her). So I’ll thank him sincerely. By staying true to form, Shaughnessy helped to illustrate exactly what it is we’re fighting about in the first place — the chance to expand our understanding of baseball using concepts that have made their way into the industry over the past 30 years versus the alternative of shouting “NERDS!” in the schoolyard and hoping you’re mistaken for a bully, or at the very least, the alpha male. 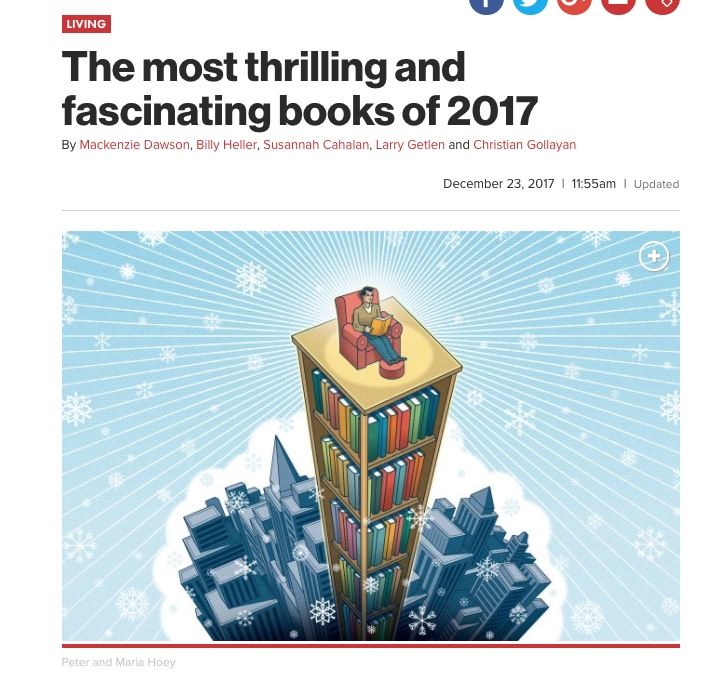 Hey, it helps me sell books.